So you wanna be a big baller when it comes to NBA betting, huh? Well, let’s just say there’s more to it than knowing your Lakers from your Clippers if you want to slam dunk your way to some serious winnings. That’s right, it’s time for how to bet on the NBA 101! If you hear about the ‘Money Line’ in a betting context and find it confusing, it’s likely because you’re used to European sports betting terminology. Don’t worry, there’s really nothing complicated about the Money Line market – it just means the match winner. Its usage is not limited to NBA betting or basketball betting; in fact it’s a common expression used when betting on other traditionally North American sports like ice hockey, baseball or American football too. You can’t bet on a tie in the money line betting market, so your bet stands if the game goes to overtime. You can bet on the outcome of a single match if you wish, although the odds are often short, especially if you back the favoured team. At odds of lower than evens (2.0), you are risking more money than you stand to win. That doesn’t mean it’s never a good idea to bet on favourites, it’s just something to bear in mind. Another option is to combine several money line selections into an accumulator, or as they say in North America, a parlay bet. Although it’s more challenging to correctly predict the outcome of several matches, the potential rewards make it worthwhile to try this kind of bet when you’ve got a good feeling about several matches. As you’re learning how to bet on the NBA, you’ll discover some of your favourite teams to pick in your NBA accas over time. 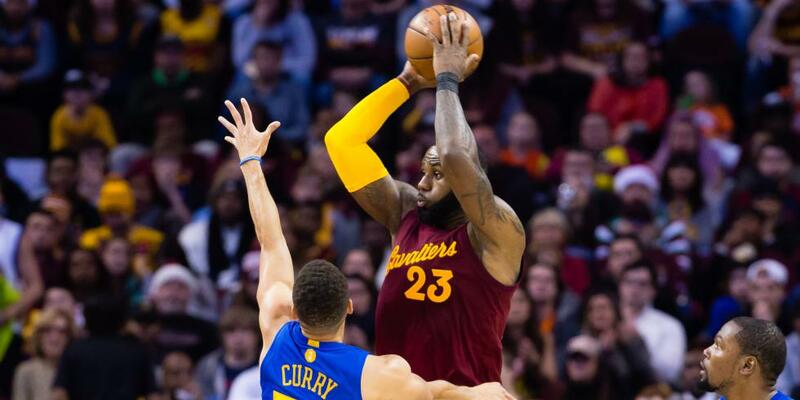 In the case of mismatches, where one basketball side is favoured heavily, you may find more value in betting on the point spread, which is the equivalent of a handicap bet on rugby or football (soccer). The main point spread is established in the build-up to a game and represents a wager that is relatively close to a 50/50 shot. As you can see in this NBA betting example, Cleveland Cavaliers start with a 9-point handicap in their match against Orlando Magic. The greater the perceived difference in level between the two teams, the higher the points handicap received by the favoured team. In some cases, we’re talking as low as one or two points, but it’s also common to see double-digit handicaps when one team is clearly superior. Sometimes, a half-point unit is used in the point spread, eliminating the possibility of a push. Some sportsbooks offer additional handicap lines, giving you greater choice about the bet you want to put on. The point spread is an exciting way to bet on the NBA as, when betting on the favourite, winning the game isn’t enough. Even if your team has the lead, you will be cheering them on to get as far ahead as possible and cover the spread. The potential returns are also higher compared to the money line, in the case of the favoured team. Total points is similar to the point spread in that it’s a two-outcome market with close to 50/50 options. A points line is set and punters can wager on the total points in the game being either over or under that amount. For an average NBA match, the total points over/under line is between 195 and 220 points, depending on how high-scoring the oddsmakers think the game is likely to be. That’s a big range, so clearly a lot of thought and calculation goes into the process of creating the market. 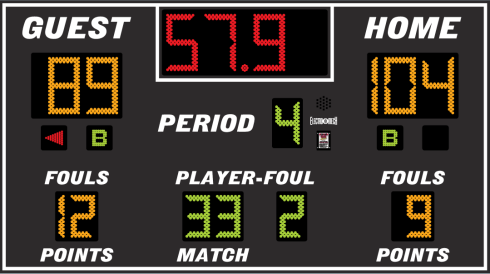 Other basketball competitions may vary, as they have some different rules which affect the number of points scored, most notably the game length. We’ll look at these differences in more detail later on, after we finish covering how to bet on the NBA in full. Alternative game totals are also often available with some bookmakers, allowing you to adjust the line to suit your fancy. If it sounds like we’re repeating ourselves from the previous section, that’s because it’s true. Coverage of basketball betting markets varies significantly from one bookmaker to another. Some give it the full works, while others are content to offer just the basic markets. Like with any major sporting competition, you can bet on NBA future markets. Betting opens well before the preseason and remains open throughout the season, all the way through to the finals. The most obvious and easy to understand kind of outright bet relates to the winner of the championship or tournament. It gives you an extra reason to follow your selected team’s progress, particularly if they put together a good run of form and start to look like strong challengers. The downside? You have to put down your money at the moment you place your bet, and you only receive winnings once it has been settled. Depending on the length of the competition you bet on, that could be a long wait! At the start of the season, it’s hard to predict how to bet on the NBA outright markets. It’s not always clear how teams will perform, meaning there are longer odds available. You could back multiple selections and still guarantee a profit if one of them wins. Alternative outrights include the MVP award and betting on the winner of a division or group, which is easier to forecast as there is a smaller selection of teams. 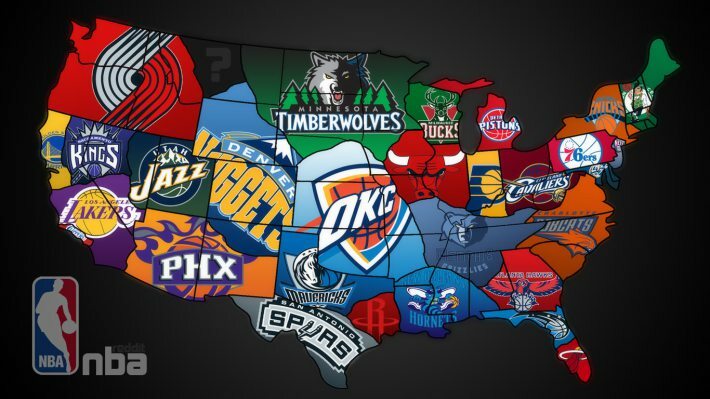 So now you know the main options for NBA betting and how to bet on the NBA, here are a few friendly tips to help optimise your success. Anyone who wants to win money on basketball needs to be well prepared to give themselves the best chance possible. American sports have long placed great importance on keeping detailed statistics, something which has only grown in European football over the last decade or so. As such, you can find plenty of information online to find value in NBA betting markets, whether it be on player or team performance. As we mentioned above, there are a few main options for how to bet on the NBA: money line, points spread and total points. Sometimes it’s easier to get a feel for one of these, rather than trying to be a specialist in every area. A good starting point is to check out stats relating to that market. Then either start betting with small stakes or even just record your predictions if you don’t feel ready to put money down yet. In either case, you will see how your predictions stack up against the reality. If you are consistently able to make correct predictions on one market, it might be that you’ve got a knack for this type of bet. Like in a lot of sports leagues, playing at home is an advantage which can make a difference in NBA betting. Take the Denver Nuggets as an example. There’s a reason Denver is known as the “Mile-High City”, because it has an altitude of 1,600 metres. Acclimatising to that altitude is no easy task for visiting teams, meaning the Nuggets have a disproportionately strong home record, even against supposedly stronger teams. In case you weren’t already aware, visiting teams are listed first in the NBA schedule and in betting markets on most sportsbooks. Don’t get confused about this and double check in case the sportsbook lists the teams the other way round – it has been known to happen. If you’re serious about betting, this must become second nature to you. Even a small difference in odds makes a difference in the long run, so you should always make sure to get the best odds available on your preferred selection. 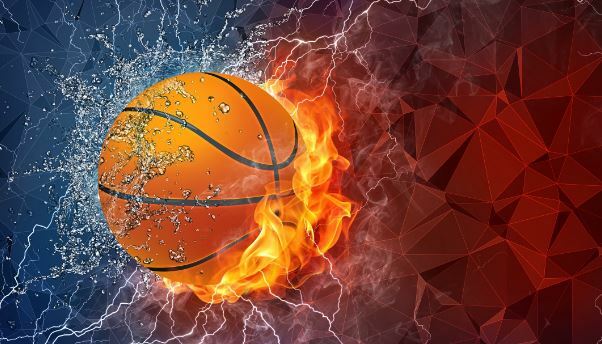 Research on the best bookmakers for basketball will give you an indication of where to bet. It helps to have a few different accounts open and topped up with a small amount of cash so you are ready to get on before the odds disappear. It will certainly make a difference in your long-term results when betting on the NBA. Of course, you may just looking for a bit of fun and not too bothered about the odds, which is all well and good, it’s up to you after all. In that case, just choose the bookmaker you enjoy betting with most and make sure they offer the kind of market you want to bet on. It’s no secret the NBA is the biggest basketball league in the world, unless you’ve been hiding under a rock for most of your life! However, it’s far from the only basketball event you can bet on. There are many events played under FIBA (International Basketball Federation) rules too. 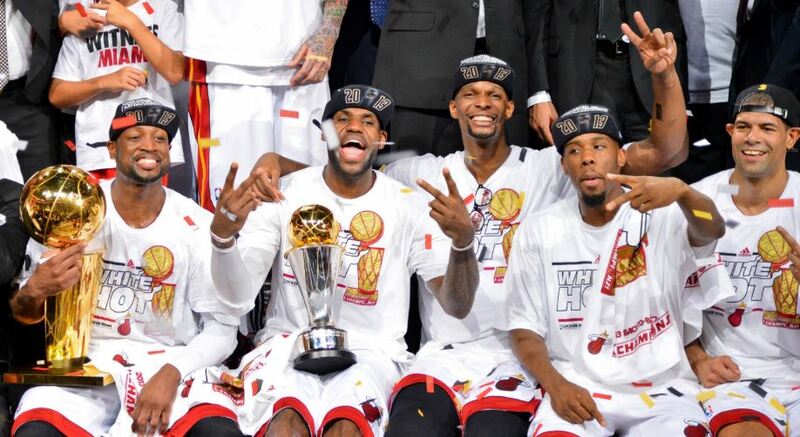 Let’s look at the best basketball competitions to bet on apart from the NBA. These national tournaments are above all a chance to see the stars of the NBA united to represent their country, rather than facing off against each other as they usually do. Ever since the Dream Team stormed to gold at the Barcelona Olympics in 1992, there has been particularly big hype about the USA team participating in international tournaments. While the USA frequently dominates at the Olympic Games and World Cup tournaments, there have been occasions where they have failed to live up to the hype, especially during the early 2000s where they went from 2002 to 2006 without capturing a title. Another reason to be careful when wagering on these tournaments is that NBA teams are sometimes reluctant to let their best players participate, afraid of them incurring an injury. As you can imagine, that has a big impact on the team’s chances of winning. A little closer to home, Europe also hosts some fine basketball clubs and players. The EuroLeague is the basketball equivalent of the Champions League, with the continent’s best clubs battling it out for the title. There are less EuroLeague matches than in an NBA season, bearing in mind the clubs also compete in their own domestic league. The EuroLeague format has changed several times over the years, with a 16-team regular season introduced in 2016-2017. OK, so the EuroLeague doesn’t get as much media attention as the NBA, but you can still find broadcasters in most countries who screen it. Some bookmakers also live stream matches for free, as long as you have funds or an open bet in your account. A major advantage is that the games are screened at a reasonable time, rather than in the middle of the night like the NBA, due to the time difference. That makes it easier to follow the action and bet in-play while watching. Although it’s a second-tier competition, the EuroCup is also growing in quality and exposure every year. The winners qualify automatically for the following season’s EuroLeague.